“ Hello everyone, In the last couple of years crypto assets had gotten a good reputation. Especially for being decentralized. But for your typical investor, finding a perfect exchange is harder than you think. A lot of the big names out there are centralized exchanges. Such exchanges got a lot of drawbacks. First for those exchanges. You won't get your private key. Meaning you could lose your money if the exchange closes either forced by the government, hacked or even if the owners themselves designed the exchange as a scam in the first place. Therefore losing the first and foremost property of crypto - being decentralized. Secondly, for these exchanges to obey the rules set by the law, they must put a lot of restrictions on the user thus limiting the investor's freedom. So what is Volentix? and how can it benefit the crypto word? 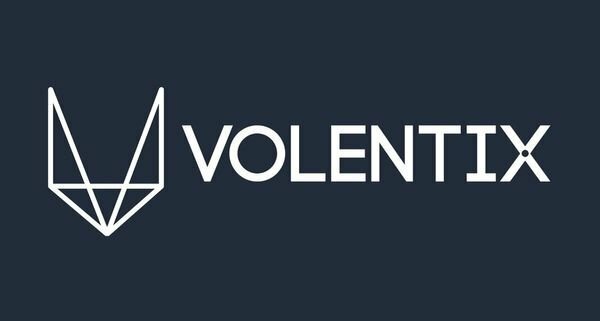 Volentix is an ecosystem built around four pillars, Venue, Verto, Vespucci, and VDex. Vdex is a powerful DECENTRALIZED DIGITAL ASSETS EXCHANGE. VENUE is a community and bounties platform where new members are recruited and where VOLENTIX digital asset (VTX) is distributed. VERTO is a local multi-currency wallet. PS. You will get your own private key :) Browser wallet. VESPUCCI is an interface where you could analyze and check all the data related to digital asset. Why did I choose this project ? A timing attack is defined as a side channel attack in which the attacker attempts to compromise a cryptosystem by analyzing the time taken to execute cryptographic algorithms. Every logical operation in a computer takes time to execute, and the time can differ based on the input; with precise measurements of the time for each operation, an attacker can work backward to the input. So to put it simply, it's an attack that deals with the time of a transaction, the best option in Arabic is 'هجوم التوقيت'. String - I decided to remove 'in the digital world' to avoid repetition and make the sentence smoother. The same goes for this string where I removed 'users of digital assets'. Apart from a few minor interventions that I did to enhance the accuracy, the overall work is excellent. I would suggest however to always re-read your work before pushing the contribution, it's a good practice that I am sure will help you to refine your work. Looking forward to your next contribution. Thank you for your review, @dr-frankenstein! Keep up the good work!